America’s favorite holiday is around the corner. A day of food, family, and festivities, Thanksgiving is a time to pause and be thankful for all we have. It’s also a great day to dress up to mark the occasion and look picture-ready. So whether you’re using your watch to keep track of the turkey cook time or to know when the football game is on, here are three Rolexes to wear on Thanksgiving Day. Now here’s a classic choice for a Rolex—the two-tone Datejust II. It’s a timepiece that bears all the hallmarks of Rolex’s signature dress watch, yet at 41mm, it’s decidedly modern too. The combination of steel and gold is a characteristic design trait of the brand, as is the fluted bezel. The white dial is chic and pairs beautifully with the thick luminous baton style hour markers. At 3 o’clock sits the date window, which is magnified by the Cyclops lens on the sapphire crystal. 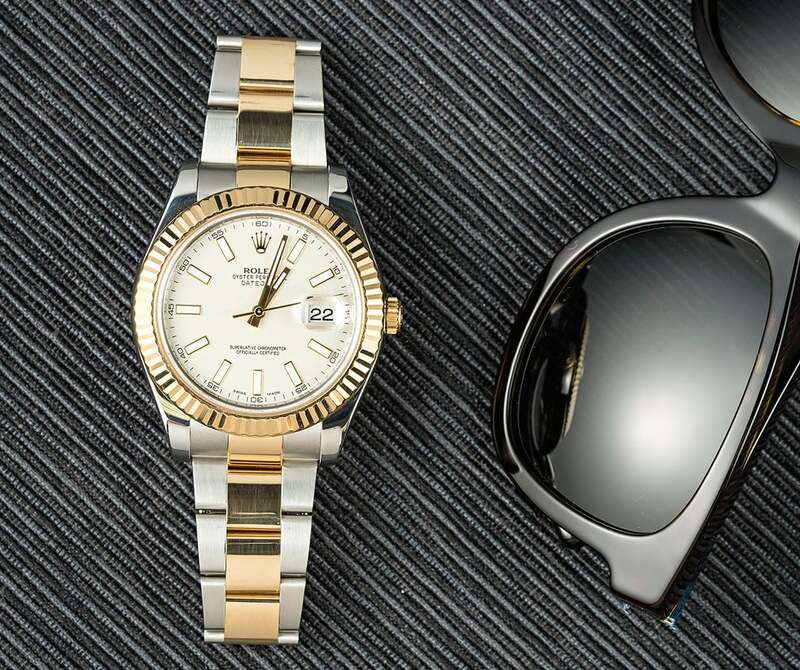 Classic, contemporary, and very Rolex indeed, the Rolex Datejust ref. 116333 is a luxury dress watch that will match pretty much anything you have on. While the only diving you’ll be doing on Thanksgiving Day is into the gravy, you can never go wrong with a Rolex Submariner. Particularly a stainless steel Sub with no date. Prized for its symmetry due to a lack of date window, the Rolex Submariner ref. 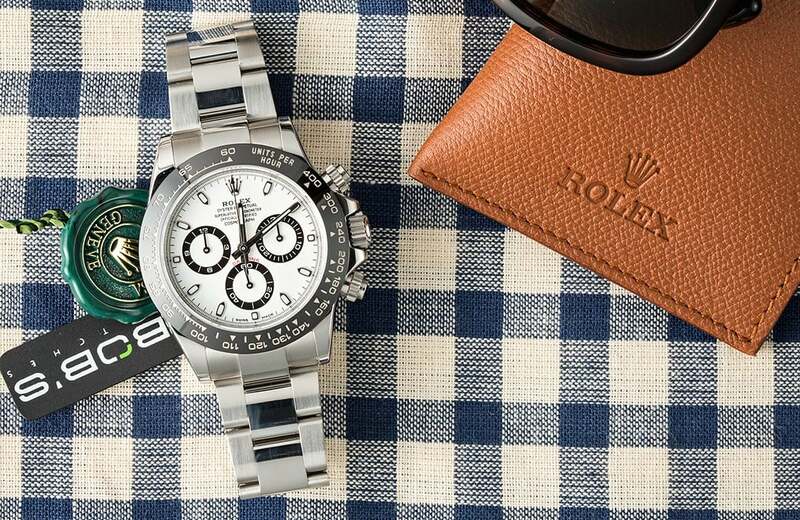 114060 is one of Rolex’s greatest luxury sports watches. 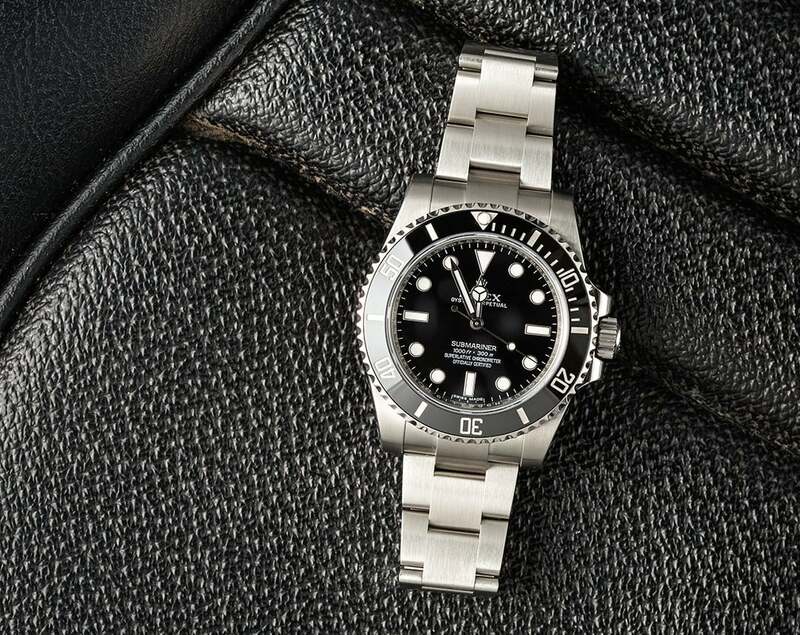 Since this is the newest no-date Submariner from Rolex, it boasts the beautiful Cerachrom ceramic bezel on top of the 40mm Oyster case. The black dial houses the large luminous lume plots along with the center Mercedes-style hands. Plus, the stainless steel Oyster bracelet can easily be adjusted should your wrist feel slightly bloated post-feast. If you’re one of the lucky few to have gotten your hands on the new stainless steel Daytona ref. 116500LN, then Thanksgiving is the time to show it off! Hands down the hottest watch of the year, the latest stainless steel Daytona is equipped with a black ceramic bezel. While the Daytona ref. 116500LN is available with either a white or black dial, we are particularly fond of the white version. The “Panda” look of the white dial is incredible and adds a touch of vintage appeal to a very modern Daytona. But of course, both versions are superb. 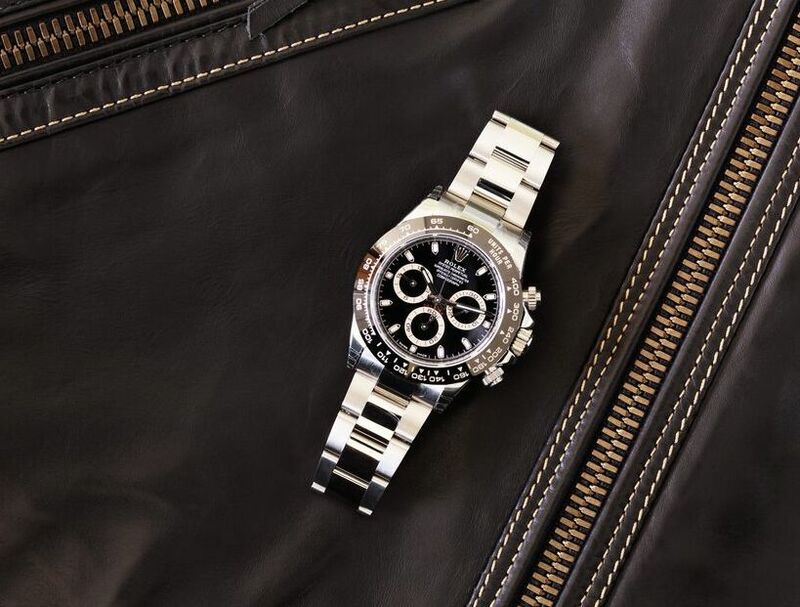 Although the turkey is normal the main event, wearing the new Rolex Daytona ref. 116500LN may just mean your watch will be the star of the show. From everyone at Bob’s Watches, we wish you and yours a wonderful and happy Thanksgiving!